California Western School of Law is the independent San Diego law school that educates lawyers as creative problem solvers and principled advocates - lawyers who frame the practice of law as a helping, collaborative profession. For more than 80 years, California Western has educated lawyers who are dedicated to improving the lives of their clients and the quality of the legal system. California Western School of Law "has an outstanding reputation in the San Diego legal community" for producing graduates with "top-notch real-world skills who can hit the ground running when they get hired." Classes are hands-on. There are three mandatory semesters of legal-skills training and oral-advocacy training. A flexible trimester system enables dedicated students to graduate in two years. Less flexible is California Western's grading curve, which contributes to "people getting kicked out of school for not having the required GPA. "The "smart, witty, and extremely approachable" professors really care. "It takes really wanting to teach to be good at it, and we have some [professors] that really want to be in the trenches with the students," reports one student. Also, "everyone and everything is incredibly accessible at CWSL," gloats another student. "The professors all have an open- door policy, [and their] willingness to help with networking" is another plus. According to a few students, some professors have too much of a political agenda, though, and "need to actually teach instead of ranting and raving about their own political views," which tend to skew liberal. Students are mostly enthusiastic about the administration, describing the top brass as "responsive" and telling us that "the school genuinely cares. "Many classrooms on the school's urban campus are technologically up-to-date. Others are "cramped, too cold, [and] inadequate for computers." Sometimes, the acoustics are not great, either. Students rave about the awesome, ultra-modern library. There are "plenty of quiet study areas," and the weather "allows studying outside in the cool courtyard." Also, CWSL is "located within walking distance of all the courthouses and close to lots of law offices. "A few students call job prospects "horrendous." Others tell us that career services "is the absolute best thing about" the school. "I'm here to get a job, and they do an excellent job of encouraging and helping students to find jobs," exclaims one student. The nationally recognized CWSL internship program "allows students to get great experience and meet lawyers without the stress of begging for a job." Bottom line, "If you want to intern for a semester, the school will find you an internship," writes one student. The Institute for Criminal Defense Advocacy "is the heart of this school [and] an indispensable tool for anyone thinking of getting into criminal law." Programs include the annual Trial Skills Academy and the California Innocence Project, which helps to free wrongfully convicted people from prison. "My overall experience has been wonderful," concludes one student. "Cal Western is like a Honda. It's good, reliable, and gets you where you want to go." 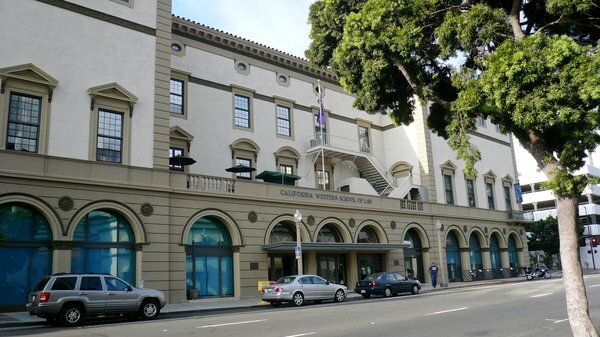 Want more info about California Western School of Law? Get free advice from education experts and Noodle community members.